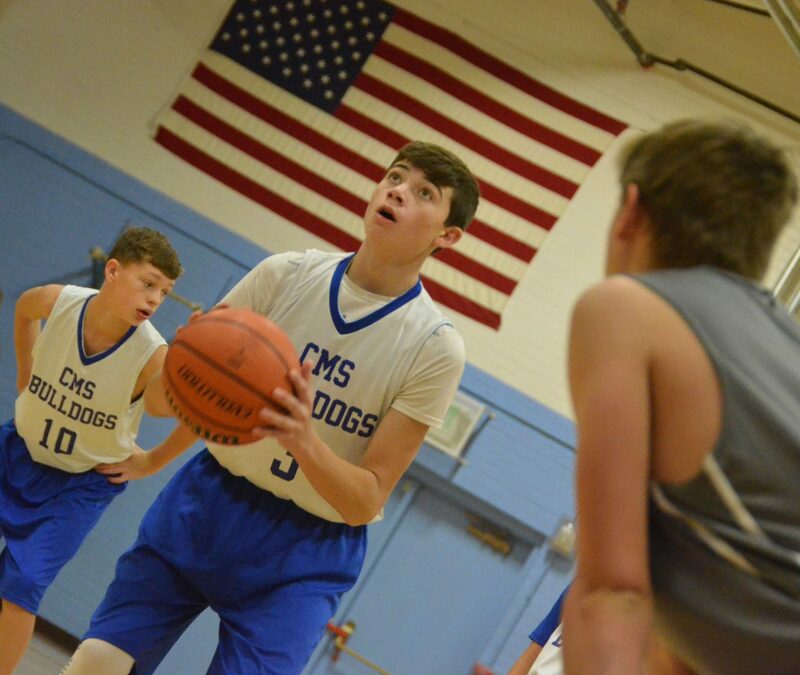 Craig Middle School's Cort Murphy focuses on a free throw against Meeker. 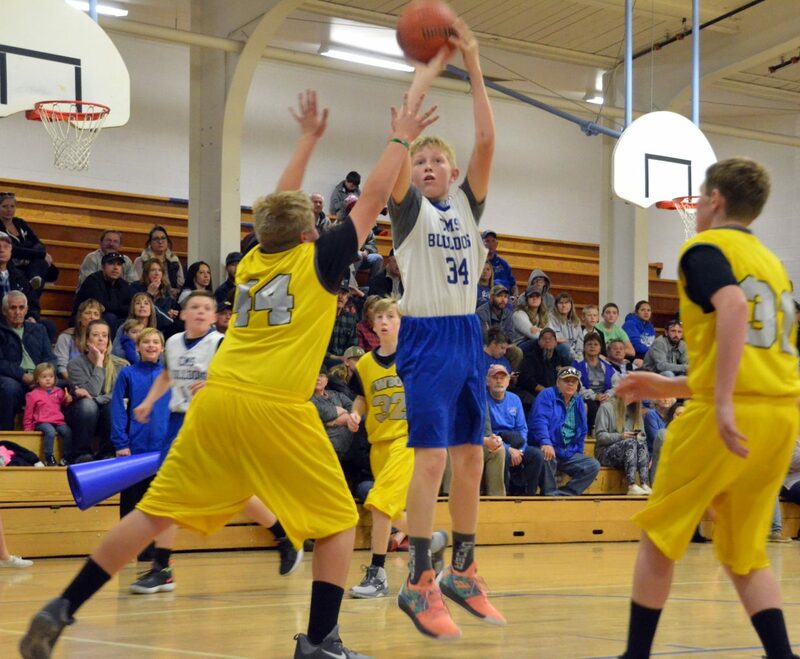 Craig Middle School's Bryant Carlson gets a play in motion against Meeker. Craig Middle School basketball players gather around coach Mark Carlson at halftime against Meeker. 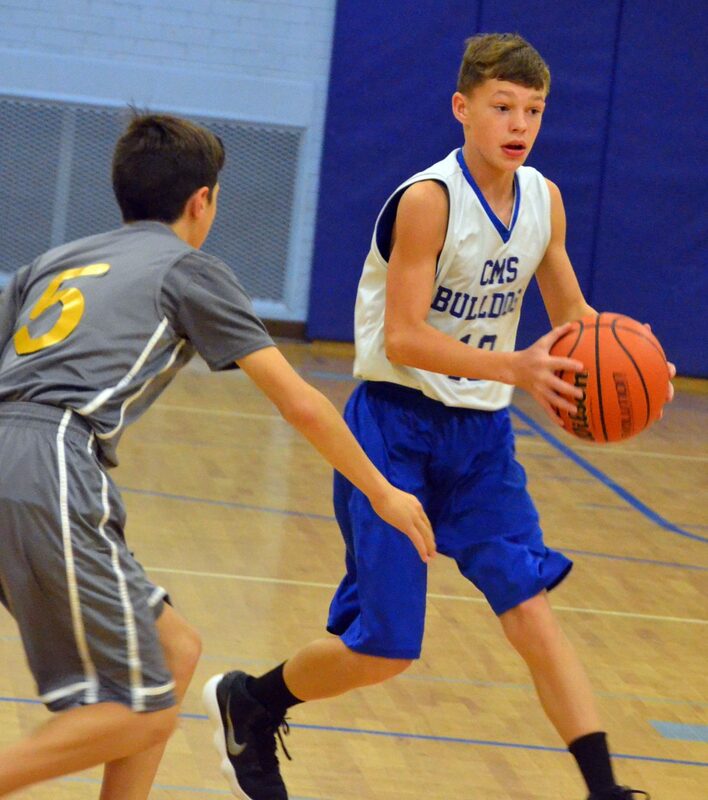 Craig Middle School's Ian Hafey puts up a jumper against Meeker. 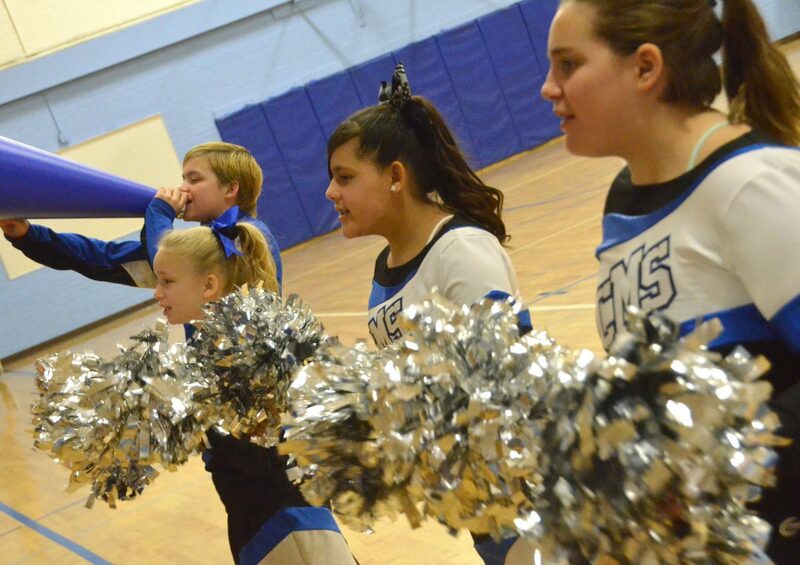 Craig Middle School cheerleaders entertain the crowd Saturday during a timeout. 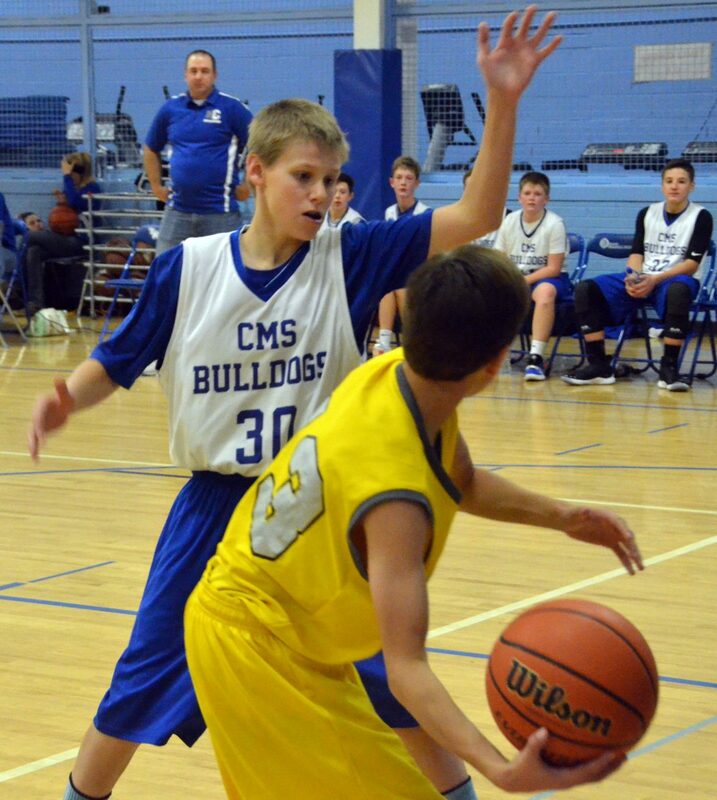 Craig Middle School's Cord Cooper plays close defense against Meeker. 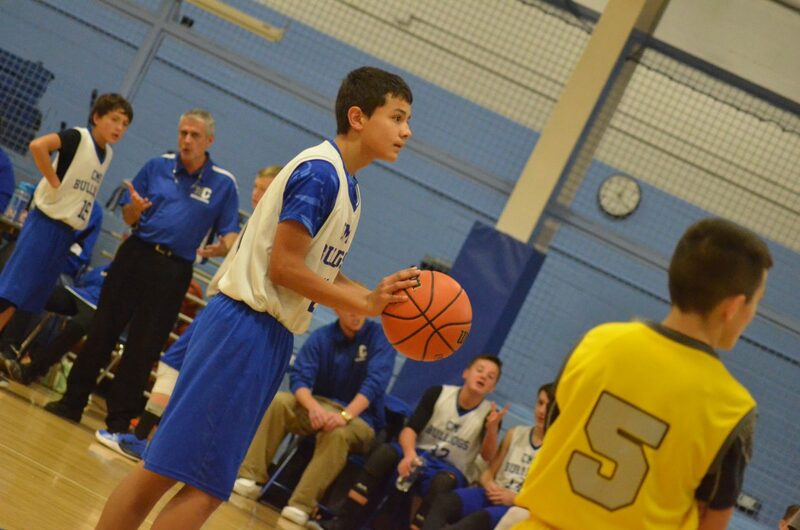 Craig Middle School's Johnny Lopez readies to inbound against Meeker. 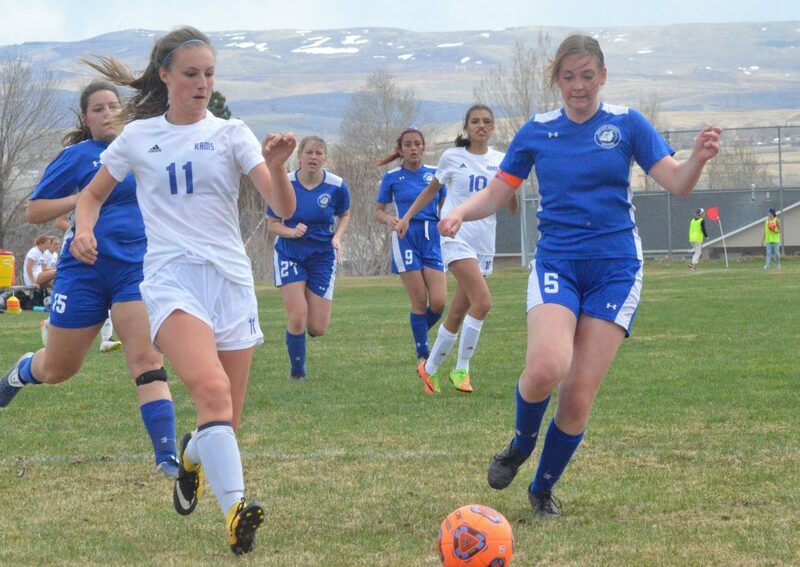 Craig Middle School's Boden Reidhead looks to pass. 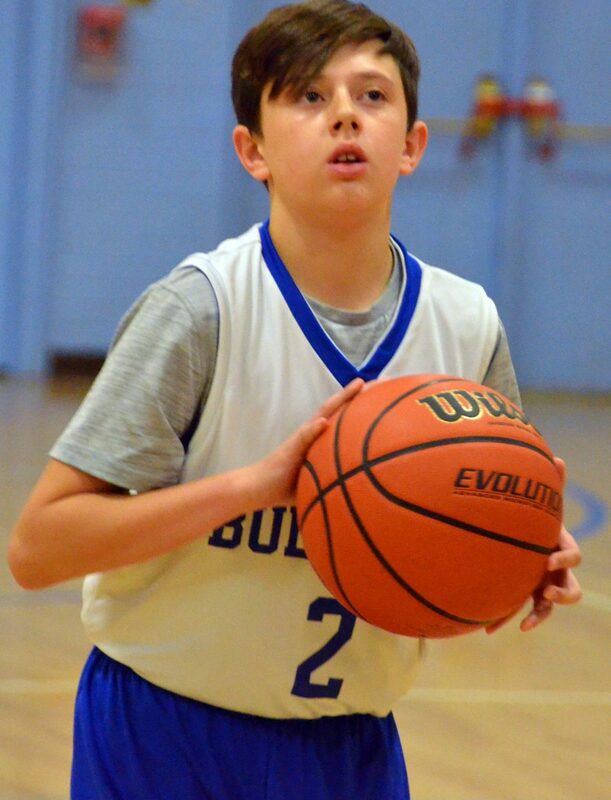 Craig Middle School's Grady Wooden concentrates at the foul line. 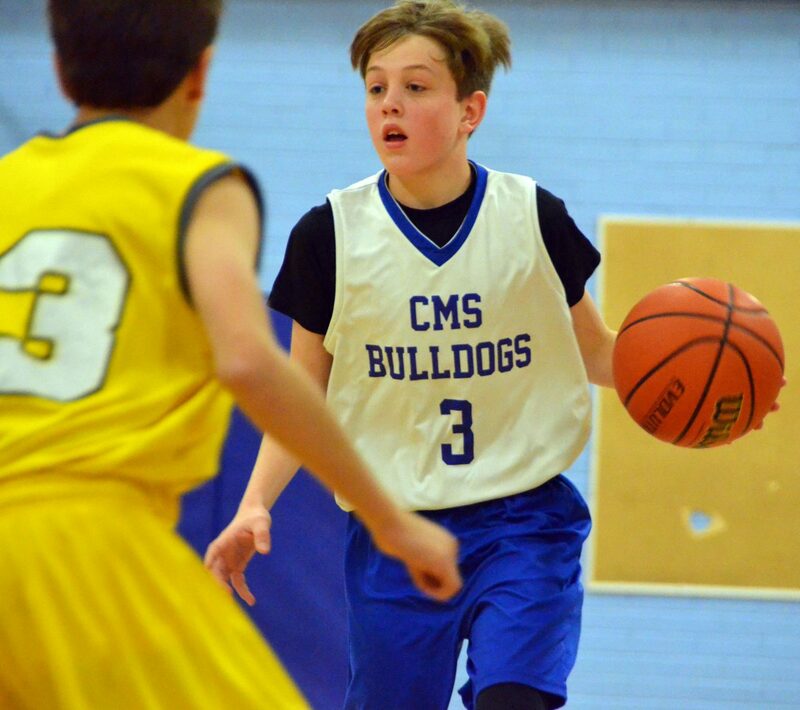 Craig Middle School's Evan Atkin fires a bounce pass into the paint. 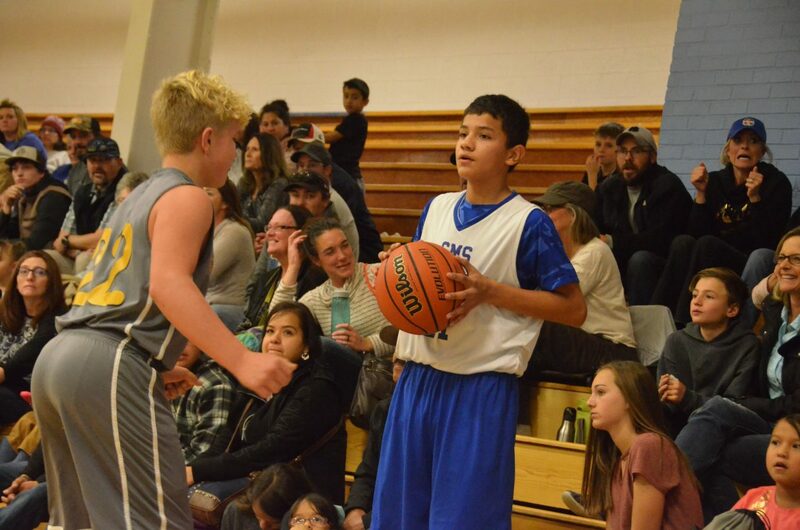 Craig Middle School's Spencer Najera posts up against Meeker opponents. 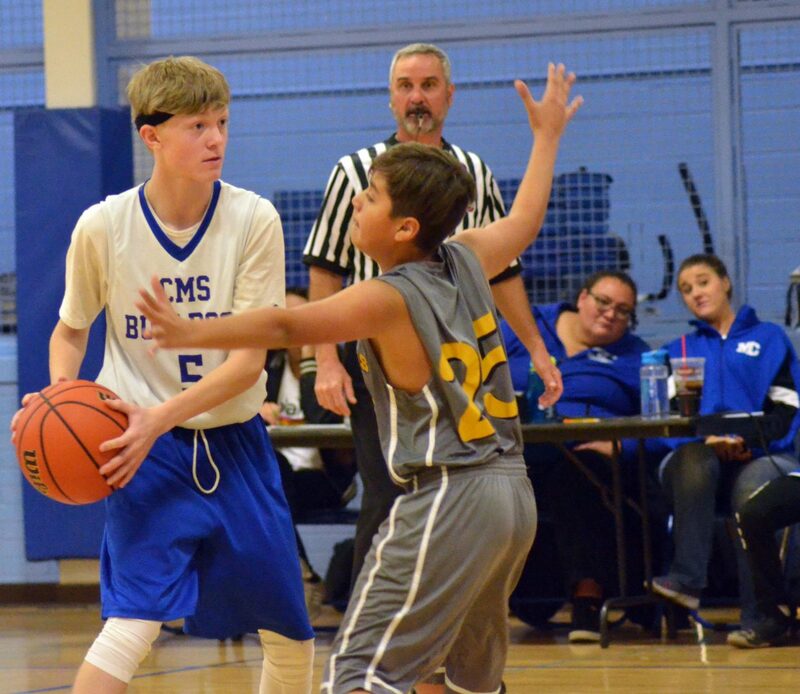 Craig Middle School basketball players transition back to offense. 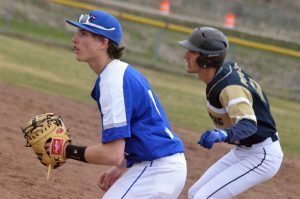 Craig Middle School's Evan Beaver is double-teamed by Meeker opponents. Craig Middle School's Lance Bracket looks to get past his Meeker opponent. Craig Middle School's Johnny Lopez readies at the foul line as coach Steve Maneotis consults with teammates. 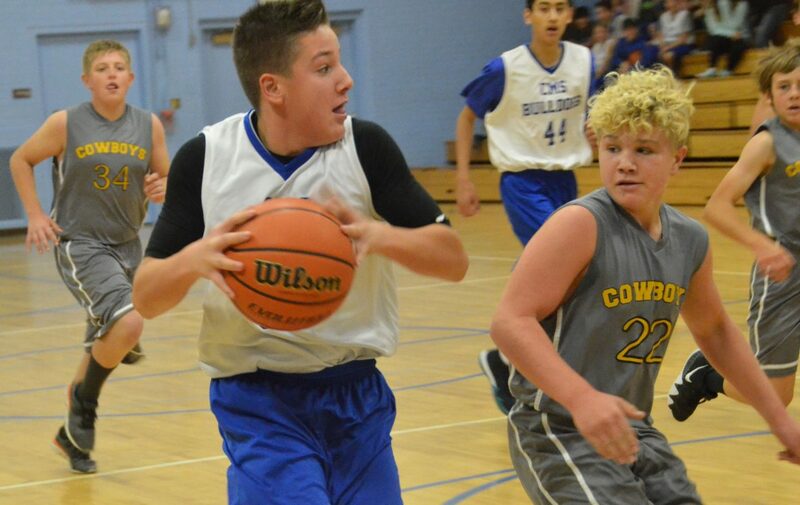 It was a shorter day than expected in the Craig Middle School gym, but Bulldog basketball cleaned up quickly with a sweep of the Meeker Cowboys of Barone Middle School. 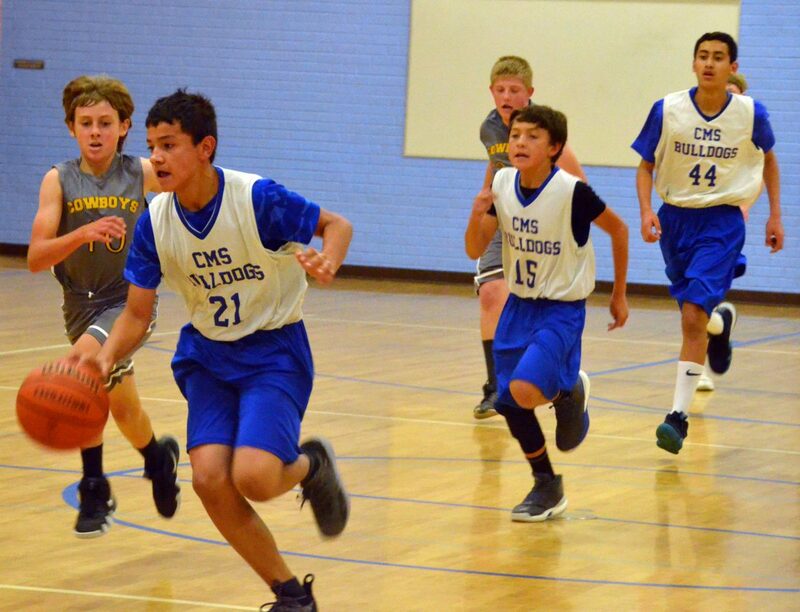 CMS won all three games against the visiting team in what was originally intended to be a full tournament only for half the teams to pull out late in the week. 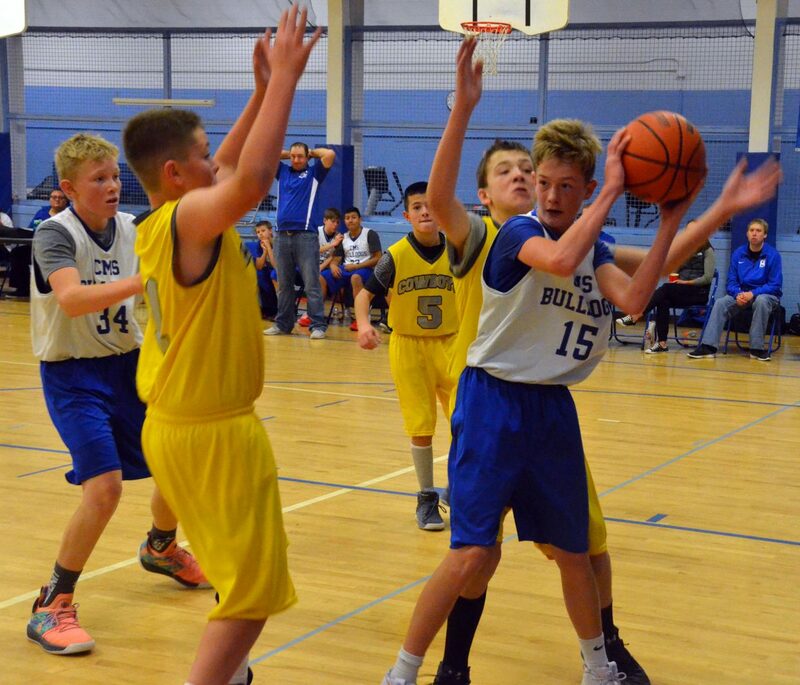 Even so, the Bulldog seventh-grade B-Team made the most of their playing time and edged past the Cowboys 26-16, while the A-Team upped the ante at 54-25. Coach Mark Carlson’s squad held a healthy halftime lead at 33-17 and didn’t bother to slow down from there. The day ended with a 40-16 wallop by the eighth-grade A-Team. Evan Atkin said he and his teammates worked to mix up the energy so Meeker never got too comfortable. “We switch really well between our plays,” he said. On a personal level, Atkin said he’s improved throughout the weeks in his shooting style. Coach Steve Maneotis noted the group’s ability to overwhelm the Cowboy offense. “They played well. I thought we did a great job with our man-to-man defense, it really took them out of their flow,” he said. 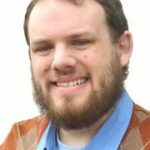 He added the A-Team defeated the Cowboys 24-14 during a tournament in Steamboat Springs a week earlier. 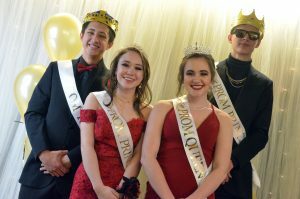 “They have some good guards who are quick, and we saw them at Steamboat, but the biggest thing is that we ran the floor and looked for fastbreak opportunities, very seldom got into a half-court set,” he said. 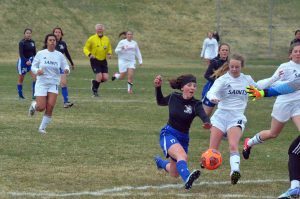 The same event in Steamboat saw the Bulldogs fall to the Sailors for the second time as the hosts hit a last-second shot to win 23-21 despite the Dogs fighting their way back from a bad start in a 10-0 first quarter. 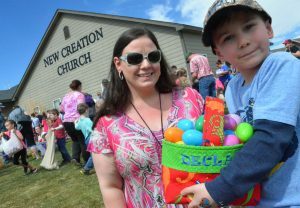 “They’ve made great strides,” Maneotis said. 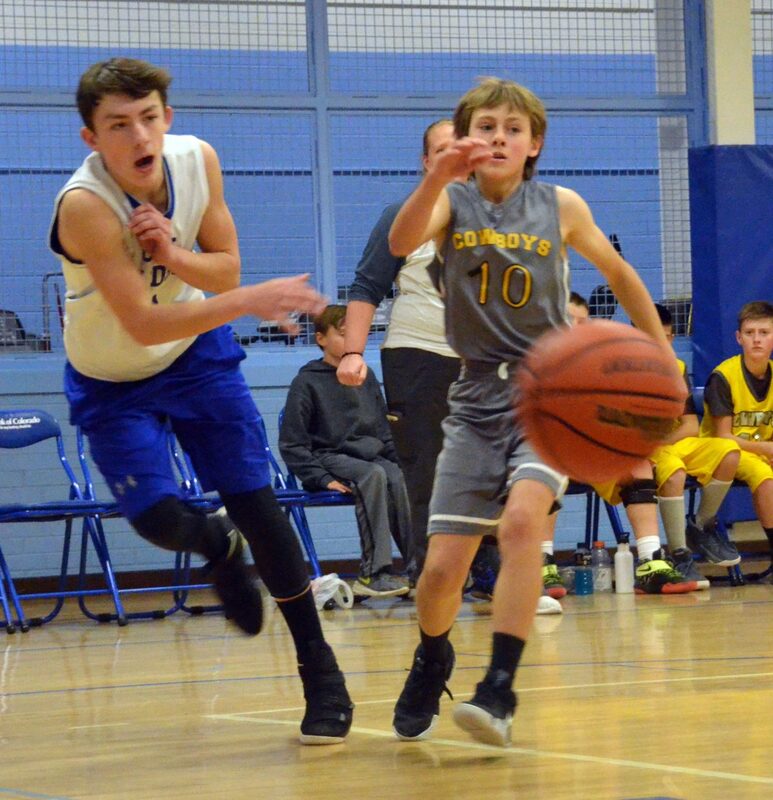 A B-Team tourney hosted Friday by Soroco saw seventh-graders go 2-0 and eighth-graders 1-1, while 5-1 seventh-grade A saw its first defeat at Steamboat, one which players will be looking to avenge. 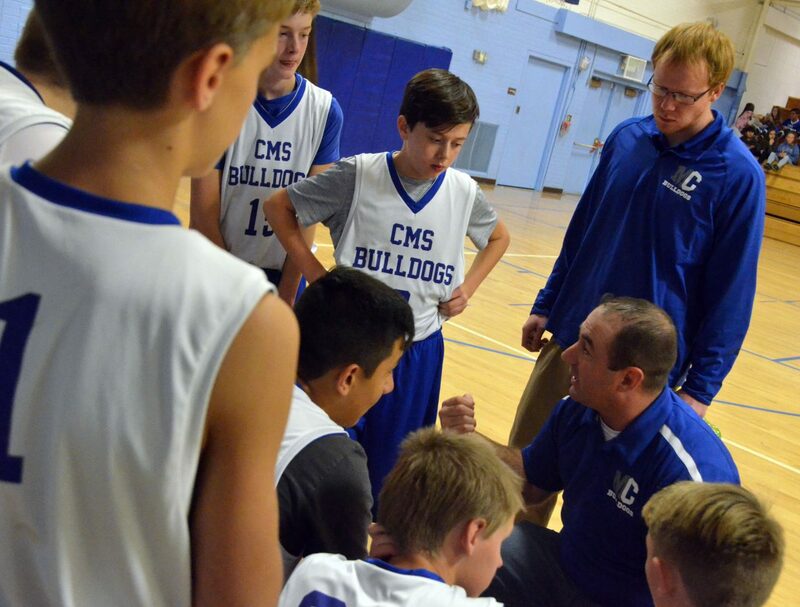 Likewise, CMS eighth-grade A-Team is 4-2, still setting their sights on a couple goals: a 60-point game and defeating the Sailors at districts, hosted by Rangely in December.